Policy Acknowledgement Form, where the user indicates he or she has read and understands the included policies. 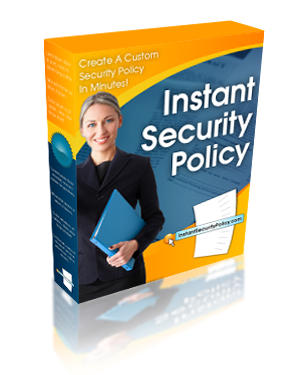 Over 20 pages of custom security policies, loaded with information to share with auditors, use as an IT security manual, or set company policy. The ability to upgrade to our Silver or Gold packages for a reduced price (please note that it is less expensive to opt for the larger package initially rather than upgrade).